IBM is extending its social business platform with an integrated social email. The idea is to turm email from a client application used only for mail to a core component of a platform that drives knowledge sharing, workforce productivity and overall business value. 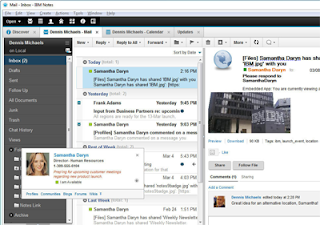 A single interface could be used to check email as well as activity streams containing the latest work from each team member, share files with colleagues, and view new blogs on topics relevant to the subject. In addition, users have access to the same content all through their mobile device, including iPhones, Android devices, Windows Phone or the new BlackBerry 10. Huawei introduced an LTE small cell router. The new ATN 905 is designed to help small base stations obtain high-rate media access across a variety of scenarios, allowing operators to ex. tend their backhaul network coverage. The unit is suitable for both indoor and outdoor use. It supports any media access, including Fiber, GPON and xDSL, to offer additional resources for the existing network. The ATN 905 supplies power through Ethernet ports to overcome the many issues associated with powering small base stations and also supports plug-and-play and remote service deployment to ease operation. 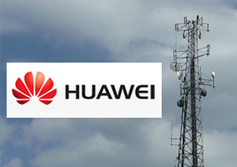 Huawei said its new LTE small cell router can provide an end-to-end IP RAN mobile backhaul solution with existing ATN products. The ATN 905 also offer OAM (Operations, Administration and Management) functions that can be used to monitor Ethernet faults, allowing operators to quickly locate faults in VIP private line services. 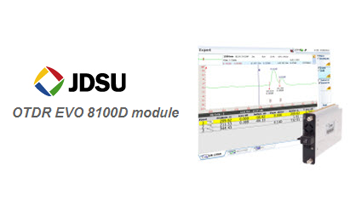 JDSU introduced a new OTDR module for its T-BERD/MTS-6000 and T-BERD/MTS-8000 V2 analyzers. The new module expands the EVO family of tests solutions to very long and ultra-long-haul networks. Specifically, the 8100D module covers ultra-long distances with true 50 dB dynamic range and optimal linearity over the entire trace. It provides the ability to troubleshoot any network from high splitter count 1x 128 FTTH/PON networks to ultra-long-haul point-to-point links.